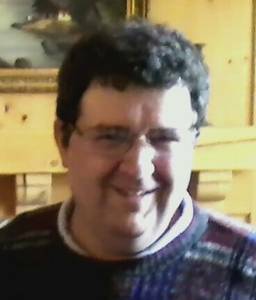 Joseph Francis Pilgrim, 55, a long-time resident of Livonia, went home to the Lord on Friday, September 16. Joseph was born in Detroit on April 16, 1961 to Frederick and Patricia Pilgrim. Joe was loving, kind and generous to his siblings, their spouses, his nieces and nephews, his extended family and friends. Joe’s faith and strong prayer life carried him throughout his life. He cared for his parents in their later years. Those who knew him remember a gentle soul who put others’ needs before his own. Joe loved sports and had an affinity for art and history with a special interest in renderings of historical battles. Joe gave generously to many charities including Alzheimer’s Association, Gleaners Food Bank and St. Jude Children’s Hospital. His siblings and their spouses love him and will miss him dearly: Fred Pilgrim (Lisa), Mary Monseur (Jim), Colleen Pilgrim, and Theresa Pilgrim (Shawn Wehrly), as well as his “second brother” cousin Frank Bonfiglio. His nieces and nephews have many baseball cards, coins and letters to remember him by: Joe Blaim, Erin Blaim, Cara Blaim, Nolan Pilgrim Higgason, Aidan Pilgrim Higgason, Kaitlyn Wehrly, Teryn Walsh, Bella Browett and Saige Donner. Joe was preceded in death by his beloved parents and his sister Kathleen.